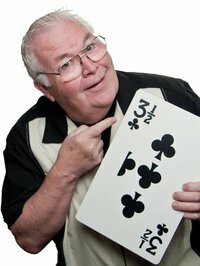 Al Lampkin is our absolute FAVORITE entertainer! The kids love it, as well as all of the adults! If you haven't had a chance to check him out, this is the perfect opportunity! We are lucky to have him in Utah..he is usually off performing at the Hollywood Magic Castle, or on The Tonight Show! A full-evening of knock-your-socks-off magic and side-splitting comedy for the whole family. Al has performed in 25 countries world wide and appeared on over 100 TV shows from the Tonight Show to Columbo. Get additional information or purchase tickets at www.midvaletheatre.com Limited seating. Reserve seats by purchasing a ticket on line-now.